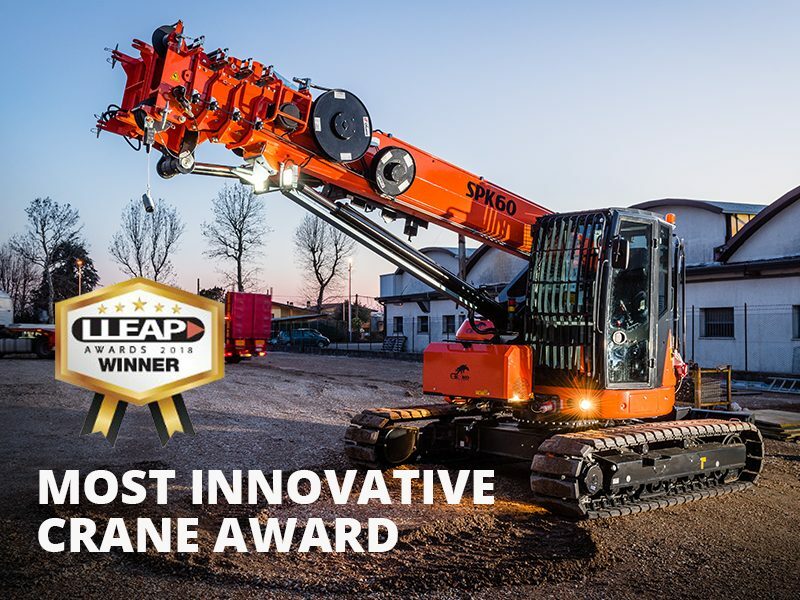 On December 3rd, Lift and Access magazine declared the winners of the 13th annual Leadership in Lifting Equipment and Aerial Platforms (LLEAP) Awards, which recognized our SPK60 tele-crawler as the most innovative crane in the lifting and access industry. We are thrilled to receive this award assigned by an expert panel of judges who evaluated the entries and rated the products based on innovative features and technology, perceived value, productivity, and overall benefit to the industry. 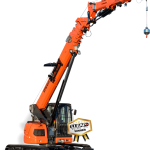 SPK60 was born as a telescopic boom crawler crane with cab to be used mainly in confined and difficult spaces where millimeter-level precision and controlled movements are required. This formula turned out to be a great success, giving the market something it was missing. 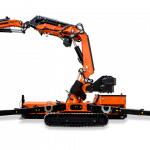 Guaranteeing extraordinary performances and a great feeling with the operator, the SPK60 is suitable for both precision maneuvers in tight and enclosed spaces and for pick&carry operations on rough terrain. This is why SPK60 can be exploited in interior spaces by taking advantage of jibs and radio remote control and also in large construction sites with the operator in the cabin, keeping the tracks extended an thus increasing the lifting capacity compared to similar machines. The software allows electronically controlling the crane directly from the radio remote control unit provided, where all the working data is displayed in real time. 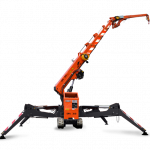 The crane is also equipped with extendible tracks without stabilizers, capable of lifting up to 3 tonnes in Pick&Carry mode and 6 tonnes in static mode. 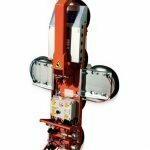 Different jibs and tools are available and completely integrated with the machine: the operator can assemble and disassemble components and accessories on its own. 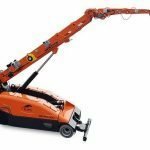 The mini-crane is extremely easy to transport and is only 5.8 metres long, which makes it easy to unload from the body of a truck.